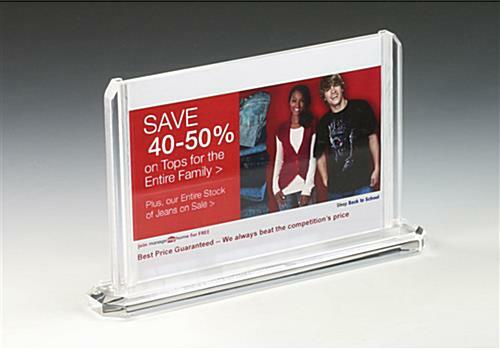 This Picture Frame is Made of Durable Clear Acrylic and is Designed to Display Menus, Photos, and Business Materials on any Flat Surface! 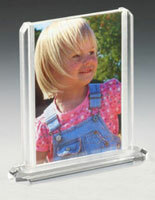 These Picture Frames Feature Two Viewing Windows! These Plastic Photo Frames are Shipped by the Thousands! 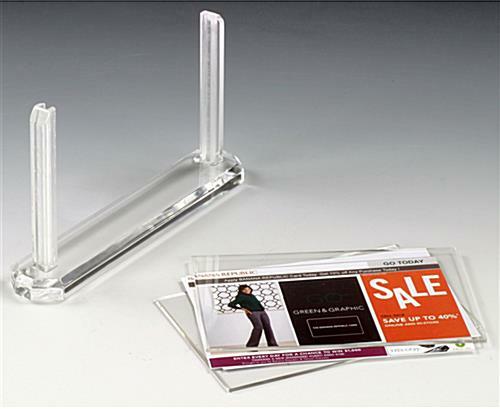 These counter top sign holders, picture frames supply fast and easy assembly. 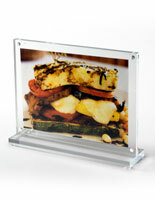 Merely slide the transparent panels up and sandwich your prints or signs between them for back to back viewing. 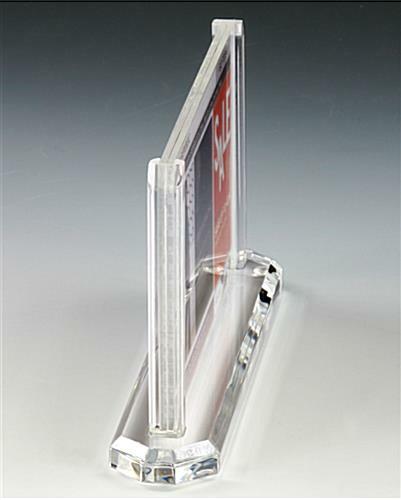 The 1/2" thick picture frames, called clear acrylic displays or counter top sign holders, rest on clear 1/2" thick stands featuring rubber feet to prevent surface damage. 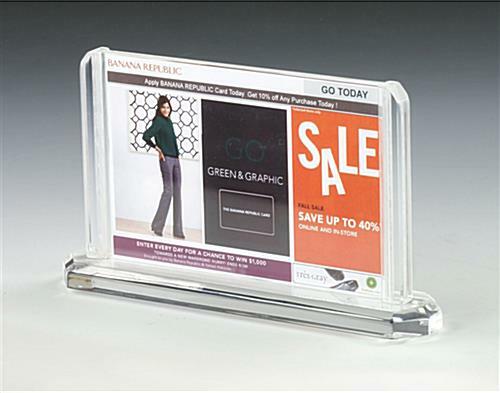 Picture frames, like these double-sided photo holders and clear acrylic sign holders, are ideal solutions to stylizing any setting. 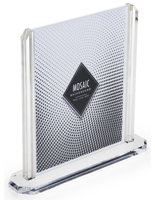 These double-sided photo holders, picture frames are ideal to exhibit postcards, promotional media content, or special photographs. The double-sided feature allows the viewer or customer to observe two images at the same time! 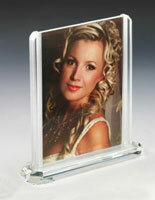 These picture frames have clear, polished edges engineered to help your horizontal prints or signs stand out.